This hobby table set from Martin Ashley features a pencil trough, three drawers and a fold-away utility rack. 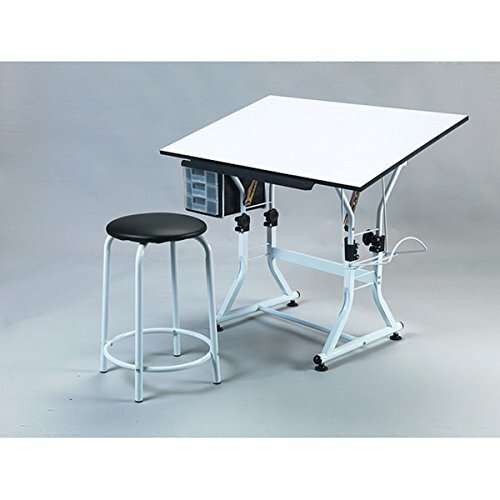 This desk adjusts to a height up to 28 inches and comes with a padded stool. View More In Drafting Tables. If you have any questions about this product by Martin Universal Design, contact us by completing and submitting the form below. If you are looking for a specif part number, please include it with your message.